So, you want to ensure your business growth with more productive and enthusiastic employees, right? But, have you ever noticed how engaging your employees are to achieve the goals of your business? Isn’t the mundane work becoming too boring for them to complete it dedicatedly? If you are thinking your company culture is getting affected because of your unengaged employees and their mundane work, it’s time to gamify it. Gamification in business can bring a revolutionary change in your workplace. When your employees are engaged with the company, work will not be a chore anymore to them. They will work as a part of the company, not as a mere employee. 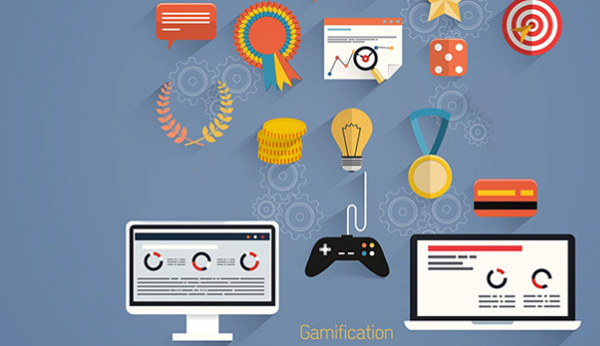 So, what is gamification? Gamification in business is not something that turns work into a game, it is the way that plays on human psychology and drives human engagement into their work. It can be said it is just like a carrot on the stick that makes the rabbit keep chasing it. Several gamification apps play on human psychology and enable them to chase success. Gamification is an integrate game mechanics that motivate participation, adoption and loyalty. There are a number of gamification examples where the employees feel empowered, engaged and get rewarded for their hard work. In short, it has become extremely beneficial tool for an HR to manage their company culture. If you are among those who think gaming is using an app mindlessly and wasting time, then you are not right. Gamification is fun but business oriented. Gaming in business can be beneficial for you in multiple ways. 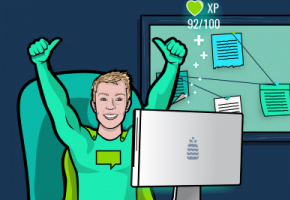 Gamification apps work efficiently in engaging and motivating employees. It is a good way to make your employees learn the new skill and find out the path to solve problems. There is no denying the fact that the engaged employees are the most important assets of a company. The engaged employees are less likely to leave, perform better and work harder to achieve company goals. Thus, the engaged employees together can make a well-run company. According to research, only 13% of employees are engaged and dedicated to their work. With the help of gamification, like accumulating achievement or rewarding the employees, it can be possible to encourage workers and prioritise productivity. In the case of traditional workplace, the employees receive annual reviews according to which they get increment or promotions. However, most potential employees get unnoticed and unrewarded in this system. If your company is gamified, all the employees receive their performance update on a regular basis. When the employees get updated about their performance, they automatically get encouraged to do better. One of the major benefits of gamification in business is, it helps the company to identify its potential employees. 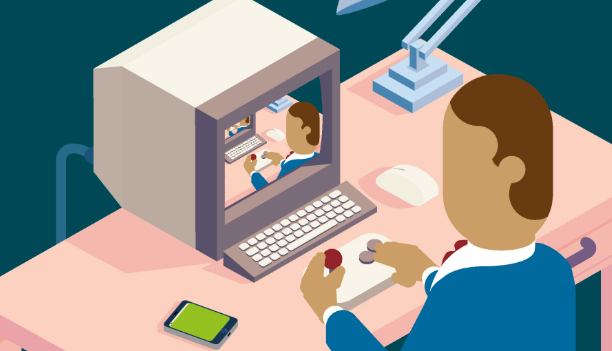 The purpose of gamification is much more than just motivating the disengaged employees. It also works as a tool that helps the employer to recognize their future leader. There are a number of fields in a company or organization where gamification can be used to enhance the work culture. Below are discussed just a few. It is an effective tool for new and experienced employees to learn new skills. Gamification can improve retention and results. Gamification is a great way to encourage employees and assist customers more efficiently. The achievements and rewards through gamification can also motivate employees to share creative ideas with their team members. Since this tool enhances collaboration between salespeople, it is a good way to improve sales. 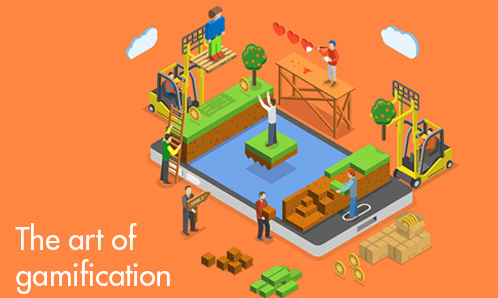 Through gamification apps, employers can encourage employees to share information and ideas about the company on different social media platforms. The team can greatly be influenced by each other and learn from each other through sharing their ideas. 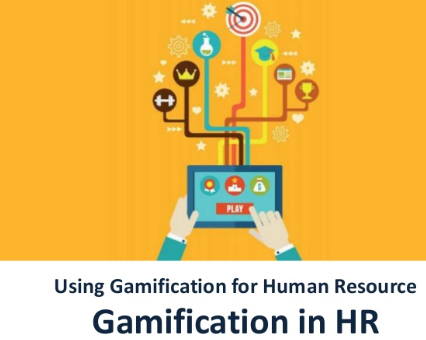 As discussed earlier, gamification has the most important impact on HR professionals since they can track the performance of the employees and make the right decision. Gamification also rewards efficient processing and shipping practices. Has your company been gamified yet? If no, let’s gamify it today and ensure your business success with the help of your potential employees. Get in touch with us!